Hello, hello! Lauren here! Hopefully, you’ve been following along with our delicious Cuban-inspired three course meal (complete with wine pairings! ), but, in case you are late to the party, pull up a seat and check out the fried plantain appetizers and Cuban-style pulled pork tacos! Now is the part in the meal that I look forward to the most – dessert! First and second courses are absolutely lovely, but there is no denying a good dessert. 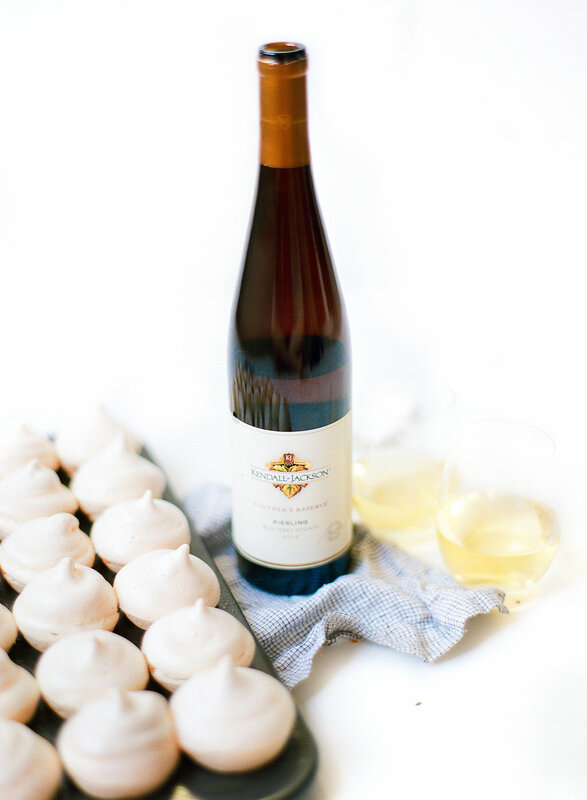 Lucky for you, we’ve got something super fun up our sleeves – Cuban Meringues & Riesling! Ooh meringues, where do I even begin. They are delicious, adorable, and wildly easy to make! The process is totally mesmerizing and to be honest, making them always makes me feel really cool in the kitchen. 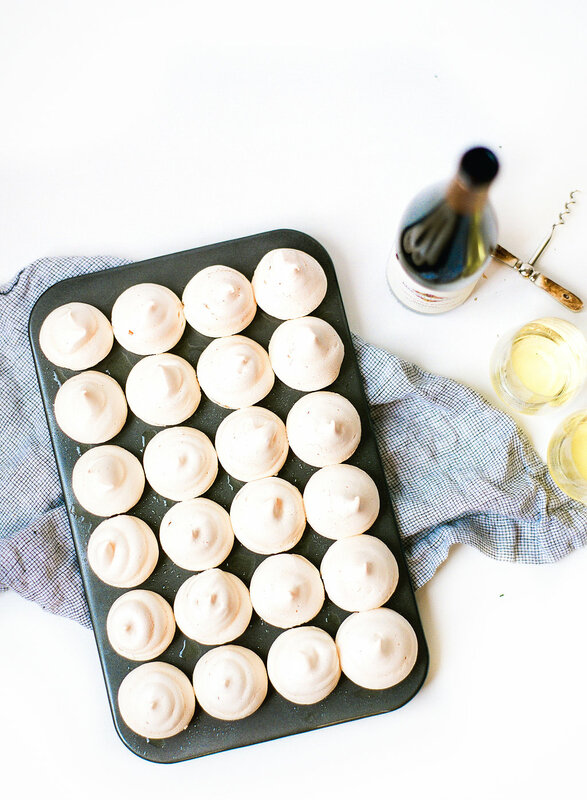 If you have never made meringues before, have no fear! They might look daunting, but they are (as with everything we make) deceptively easy! Try them out ahead of time, or try them with your guests, either way – they are delicious. Who cares if they aren’t perfect or if they are a little lopsided, the flavor is all that counts! 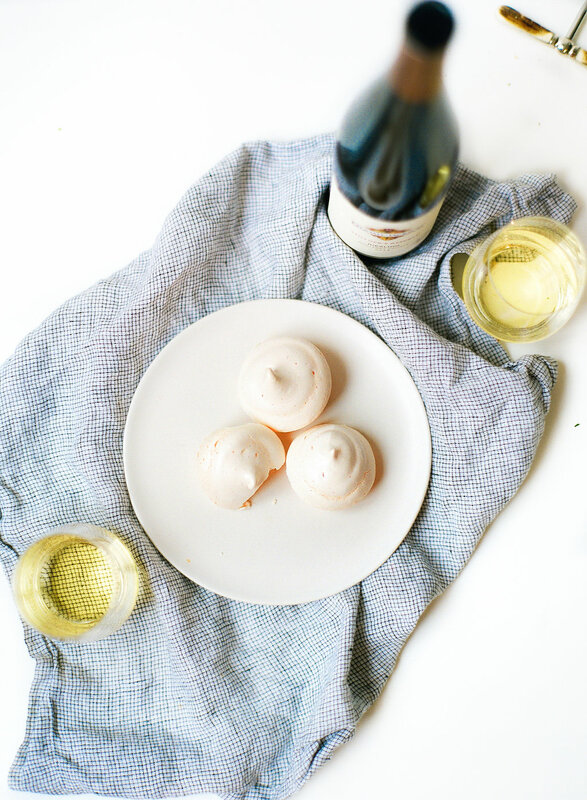 Pro tip – depending on how your dinner party is going (fabulously, I am sure) or how long you want people to stay, you can pop the meringues into the oven when you serve the entrees, or wait and elongate the evening by putting them in after dinner is over. I like a good break in the evening to get up, re-fill the wine, and change rooms (from the dining room to the living room), but that is totally up to you! These babies don’t take long to whip up, but they take about 50 minutes to cook (depending on your oven), so plan well! Use coconut oil spray to coat a 24 cup mini muffin pan. Using a mixer, whip egg whites until stiff peaks hold and meringue does not slide when bowl is turned upside down. Gradually add in both sugars, vanilla and vinegar. Increase speed and whip until meringue is free of any sugar grit (test by rubbing a bit between two fingers). Peaks should be stiff and glossy. Gently mix in the lemon zest until just combined. Spoon meringue into a gallon ziplock bag, seal, and cut a ½-inch opening in one of the bottom corners of the bag. 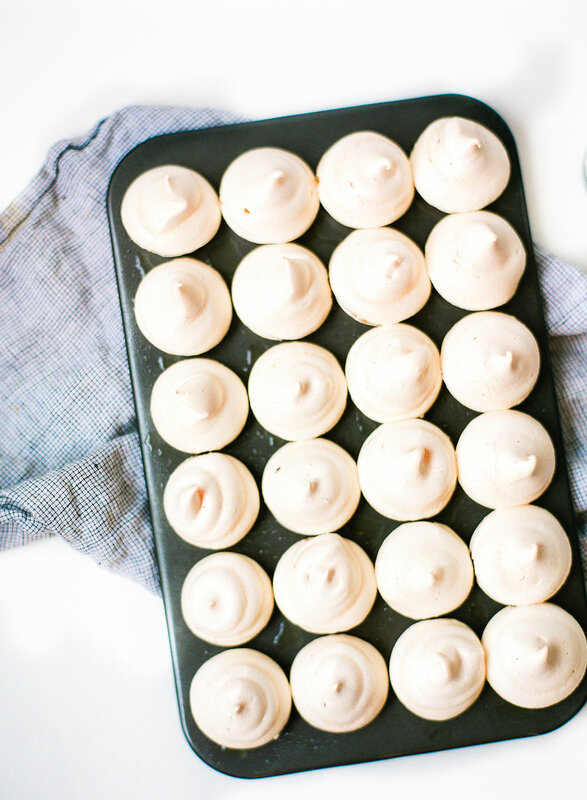 Gently push the meringue toward the opening, and squeeze a generous portion into each cup of the pan. Bake meringue for 45-55 minutes, or until slightly golden on top. Cool and serve with a glass of Vintner's Reserve Riesling.